WE’VE GROWN!!! 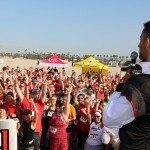 It’s an ENTIRE BEACH invasion at a larger location: HUNTINGTON BEACH, CA! Ships Ahoy. 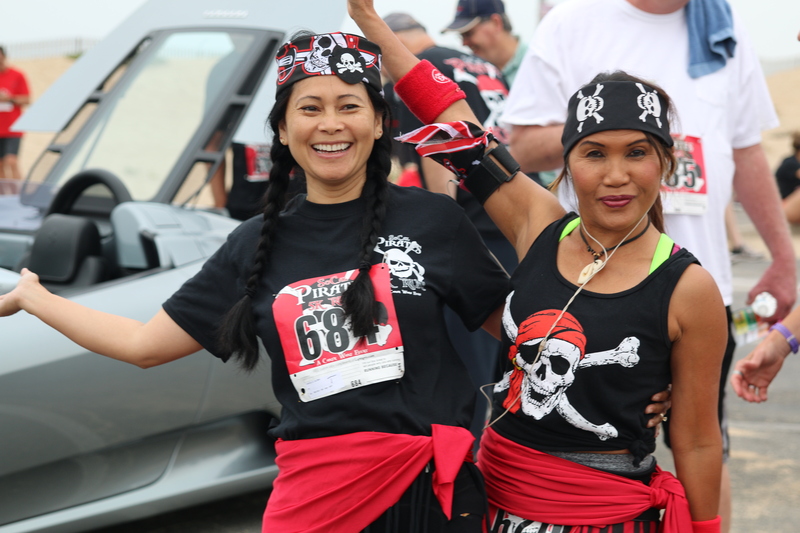 Plan to be a part of our pirate invasion RUN. 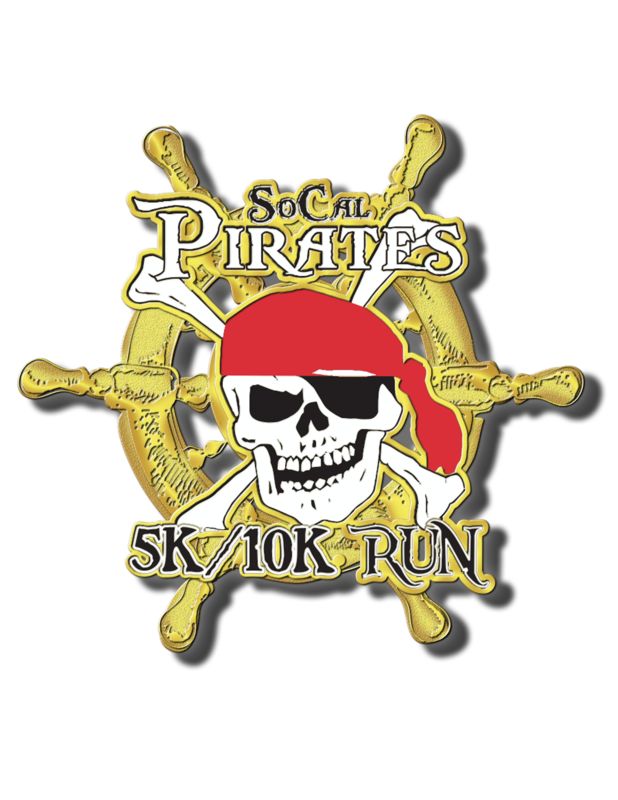 THE SO CAL PIRATE’S RUN 5K is SATURDAY, June 23, 2018. Chip timed event with wave starts. Age division and overall awards for avid runners, and the BEST EVER CUSTOM CAST FINISHER MEDALS for all. New Look For the Medals! Hey, matties! 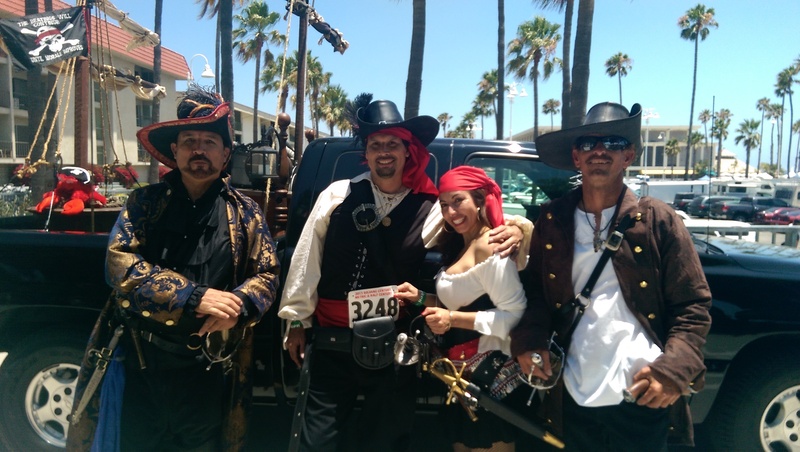 We raffle Coupons for bottles of Captain Morgan raffled to random finishers (over age of 21). A few hidden treasures are to be found along the course at this event! 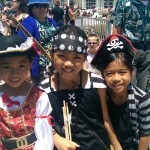 It’s a beach landing, pirate themed course. 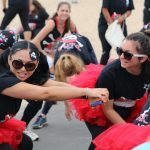 WHERE: BOLSA CHICA STATE BEACH Corner of Warner and Pacific Coast HWY corner to Jack in the Box. 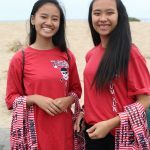 Parking: PARKING at BOLSA CHICA STATE BEACH is $15. You may wish to car pool. 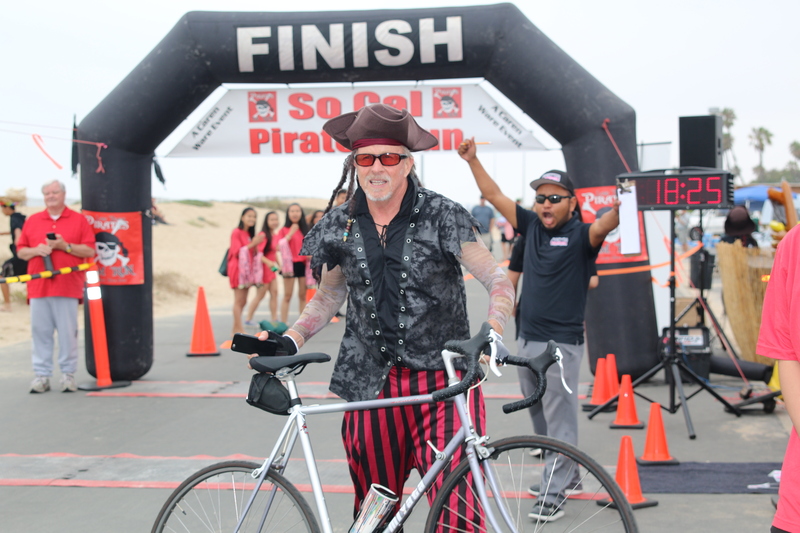 To enter into BOLSA CHICA STATE BEACH go in the main gate on PCH and drive furthest EAST to the very last parking lot. 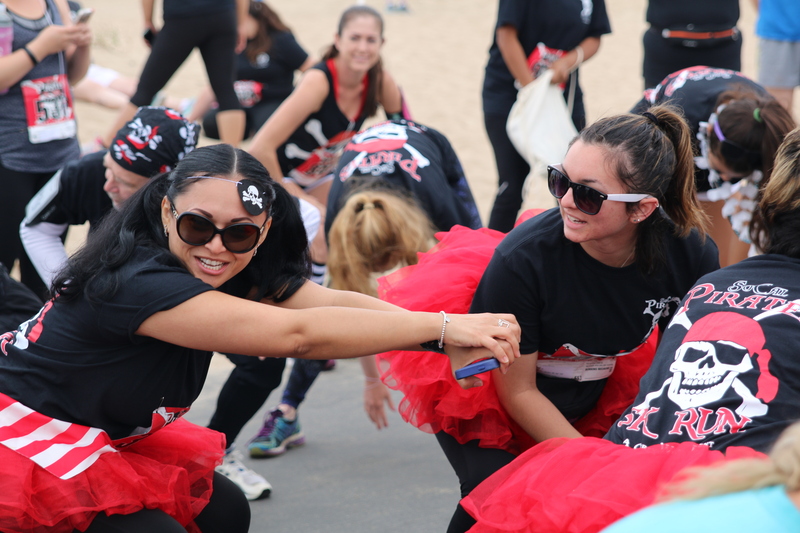 The race is staged in view of that famous Jack In the Box on the corner of Warner and PCH. If you prefer to not pay parking, there is a parking lot where the SuperMex and the gas station are located on the corner of Warner and PCH. You can walk in to the race staging area from there. 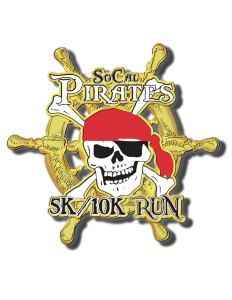 WHEN: Saturday, June 23, 2018 – 8:00 a.m. 5K Pirate’s Run. 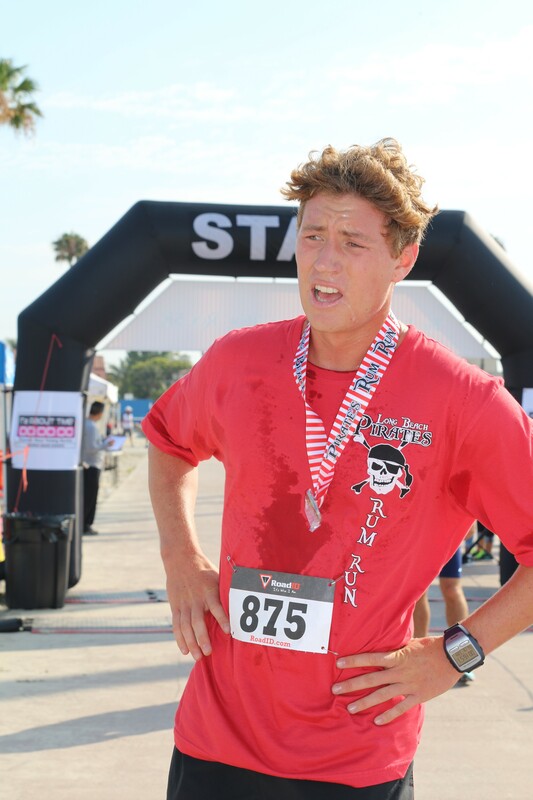 THE COURSE: Flat and fast, or slow and easy, make it the pace you want it. 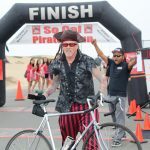 Runs along the beach bike path and through our Pirate staged Festival course. Paved road and paved sidewalk make it fun for runners, joggers, walkers, and strollers. In it to win it age categories 3 deep in 5 year age spans. CUSTOM CAST FINISHER MEDAL for EVERY PARTICIPANT. You never know. 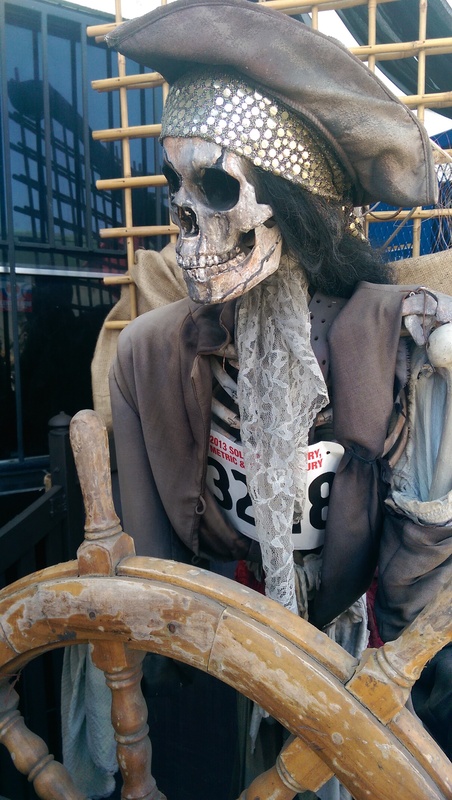 You may be one of the random winners of a bottle of RUM! 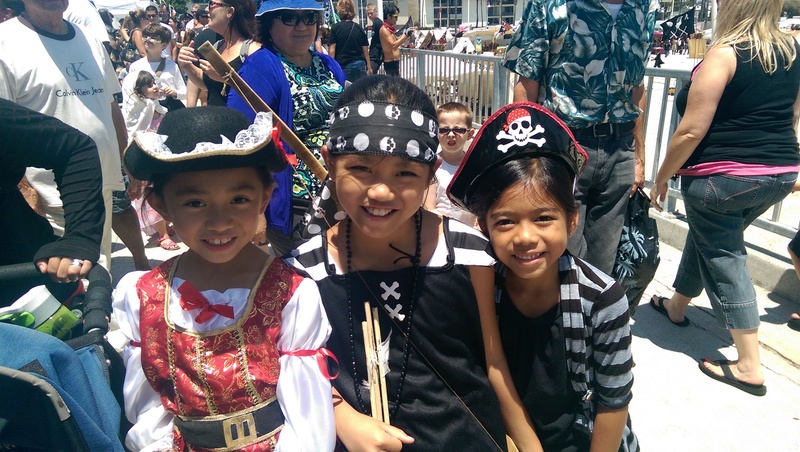 Youth: Discount registration price for KIDS( 21 and under): $30. and $35.00 at early packet pick and race day. This is a family, festive event.
.: No alcohol is allowed to be consumed at the event:. 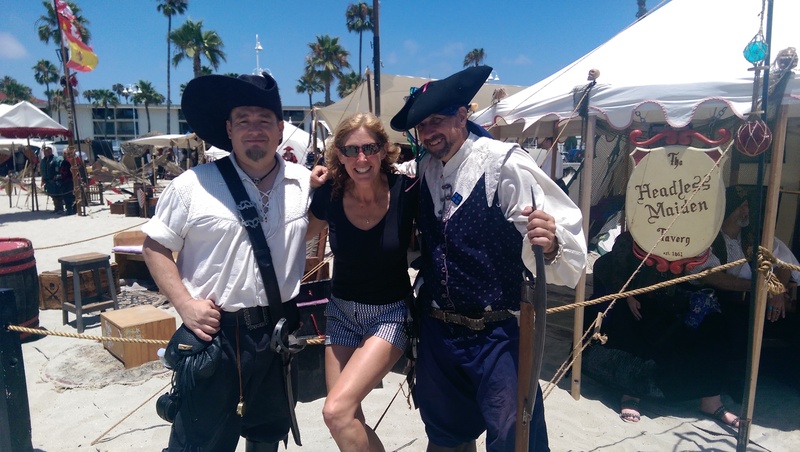 ENJOY the PIRATE’s FESTIVAL at Long Beach following the RUN. CLICK HERE. 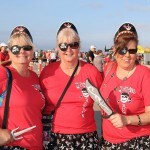 Every runner will get a Private themed event T-Shirt & an eye patch (while supply lasts)with their registration. 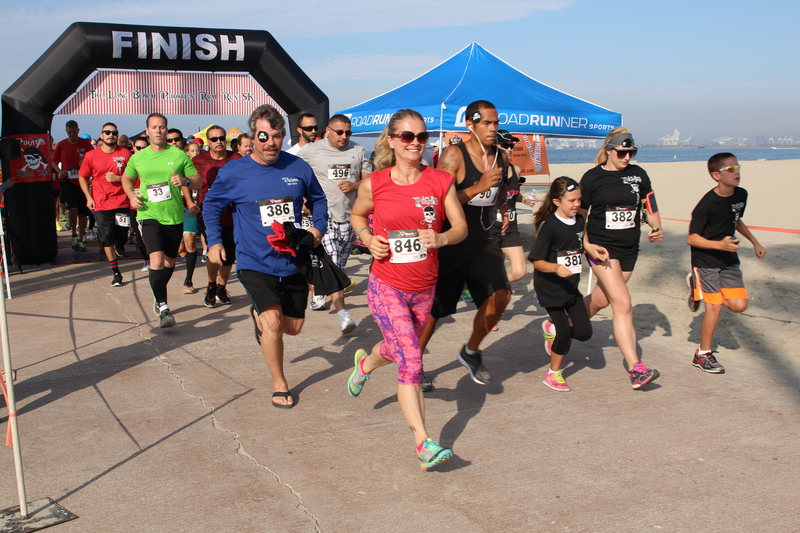 A super flat, fun course for the serious runner, and super fun for the entire family! 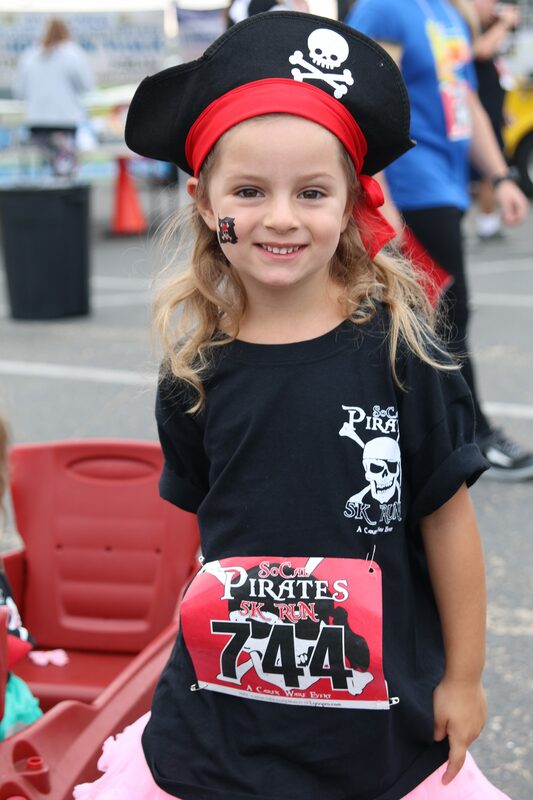 Includes an event t-shirt, a souvenir picture with a pirate, and age division awards for 13 age divisions, 3 deep. Water and fruit at the finish. 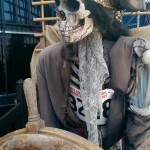 There will be coupons for BOTTLES OF RUM randomly given to random finishers over the age of 21. PLEASE NOTE: No open containers of alcohol allowed in on STATE beaches. 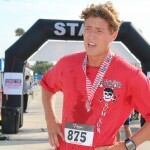 PACKET PICK UP: Road Runner Sports 1835 Newport Blvd, Costa Mesa, Ca. 92627 FRIDAY, JUNE 22, 2018 from 1pm to 6pm. 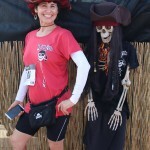 May also pick up bibs on race morning. Walk up registration also allowed race morning. Tshirts will supply lasts. 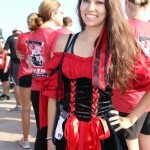 You may pick up bibs for other runners also. BONUS! You’ll get $10 from Road Runner Sports to spend on anything you want in the store! Or join the VIP Family and save 25% on everything! Don’t miss out on this exclusive gift for race participants and the chance to score a FREE pair of shoes only when you join the Packet Pickup Party! Restrictions apply. See store for details. DEEP: 1-6, 7-10, 11-14, 15-19, 20-24, 25-29, 30-34, 35-39 40-44, 45-49, 50-54,55-59 60-64, 65-69, 70-over. If the race is not the prize, grab a few e goodies along the way…and linger your way through. You choose your course tactics. Race…Jog…Stroll…Roll…or tricycle it. Families can bring strollers, bikes, and tricycles, but agree to use at own risk. 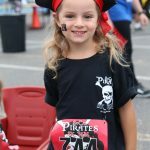 Kids must have pads and helmets and will be lined up in the stroller, bicycle start section.Volunteers: If you aren’t going to run or walk, but want to have fun and help the event, we need you on race day! Registration aides, Marshals, and general help is needed. 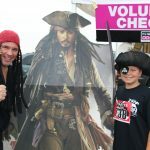 High School students can get volunteer hours for attending and helping out. Please contact us here. 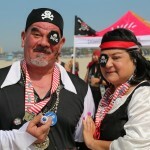 or call 909.213.4407 or 949.945.3715 Mon-Fri 10 A.M. – 5:00 P.M.
6:00 am Vendors arrive and set up. Tshirts are given with bibs at registration. from the THE 12 in Costa Mesa. 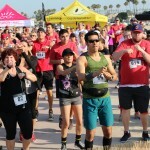 Experience fun fitness/ music and a funny DJ. 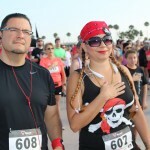 7:50 Race Ceremonies and National Anthem. 8:15 Lead RUNNER in view. 8:15 to 9:30- returning through chutes! 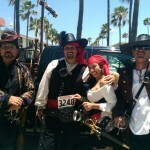 10am DUSK Pirate’s Festival OPENS IN LONG BEACH. 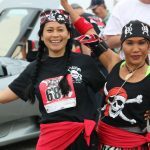 Two: You may have one person pick up other’s bibs and shirts at packet pick up. The waivers have been accepted electronically. Three: You CAN pick your bib and tshirt up race morning. Though come early and expect lines. 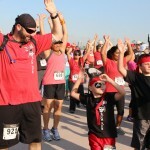 And you CAN register new entrants race morning. Come early and expect lines! Four: Random bottles of rum winners MUST be OVER 21 and will receive gift certificates. NO open alcohol containers allowed on the beach. 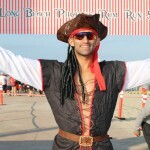 The RUM garden is located at the SEA LEGS CAFE right on the beach/East end of our lot 25. and opens at 10am provided. 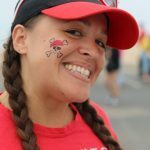 Five: Be courteous to the public runners and cyclists that use the Long Beach bike and running path. Six: We are starting in waves. Pick which one fits you and we will coral you accordingly. The race is chipped timed so your time starts when you cross the start mats. You MUST stand behind the start in the expo area beginning at 7:45am. (before 7:45 am you may take pictures under the arch or any time after you finish, but once the first wave leaves at 8am you cannot be near the mats until your group time. 7:45 Race Assembly. 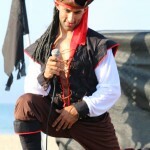 The entire event will kick off with a pirate’s themed warm up provided by the top notch personal trainers at THE 12. (fitness gym gone DJ. It’s about the music, the movement. www.the12.com)You have a CHIP ON YOUR BIB. DO NOT stand near the front of the start arch until choral for your wave after 7:45am. 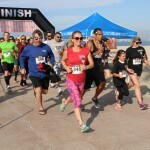 If you must walk by the start arch after 7:45 , go around through the sand at this point..
2017/2018 events proceeds from Caren Ware Events going toward Miss Pam’s Ranch wheelchair accessibility project and Ware in the World Foundations finding of local and international life enhancing fitness opportunities.